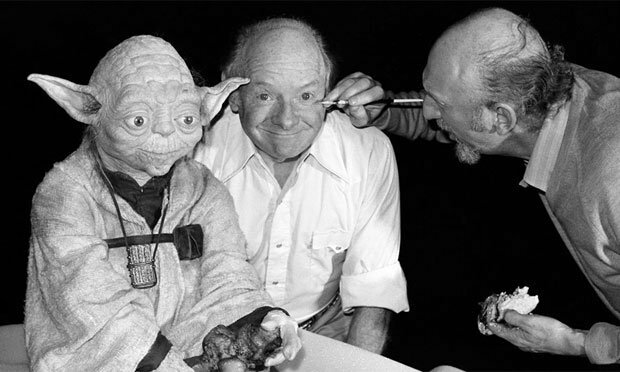 CNN has announced that Stuart Freeborn, the London-based master makeup artist behind many Star Wars characters like Chewbacca, Yoda, and Jabba the Hutt, has died at the age of 98. His most notable design is Yoda, who he fashioned after himself. “Stuart was already a makeup legend when he started on ‘Star Wars,'” said George Lucas, creator of the films. “He brought with him not only decades of experience, but boundless creative energy. His artistry and craftsmanship will live on forever in the characters he created. His ‘Star Wars’ creatures may be reinterpreted in new forms by new generations, but at their heart, they continue to be what Stuart created for the original films,” Lucas said in a statement.